I'm very curious about the mind and consciousness and would be interested in any thoughts members might wish to share. Why are we conscious at all? Where does the mind fit into consciousness? Hi, Heidi! That’s an interesting question. All I can offer is my personal feeling about it, and that is that the mind is a somewhat abstract notion we hold, for the time being, to refer to our ability to intellectually process information. On the other hand, I have experienced consciousness as something that is often focussed on a restricted area, such as our everyday life and circumstances, but is also able to expand under certain conditions (for instance during meditation, dreaming, prayer, shock, etc. ), mingle with other people’s consciousness and even become some kind of universal consciousness (such as when NDEs or NDE-like experiences, or other transpersonal experiences occur). Many NDErs say that, at a certain point, during their experience, they became aware of the fact that they had promised to “forget” about the fact that we are not limited by notions such as three-dimensional space, linear time, a physical body, and the like, or we would not have been able to fully experience this physical level of awareness. If this is true, then consciousness could be something that goes beyond our everyday understanding, but can be accessed in ways that differ from those we are normally used to. From this point of view, based on my own experience, I could draw the conclusion that we are conscious because we are alive, irrespective of being incarnate or disincarnate, and that the consciousness we experience in the “here and now” may be, as a rule, a self-imposed degree of awareness which, like an elastic band, can shrink or expand, depending on our circumstances and our own desire to explore the possible bigger picture. Will we ever know? I very much doubt it but its a great point that keeps us searching! Interesting to hear everyones thoughts on it though. Welcome to the forums. These are HUGE questions you ask, impossible to answer in a compact way, and I have to be brief right now. But I think we should at least take a look at what the people who have studied these questions for many centuries have to say about it. The Hindu yogis have taken the most scientific approach to the inner life of any I know of. I've attached the upper half of what they call the "descent of Being", which covers the questions you ask. It's like a road-map of our inner organization, and it corresponds quite exactly with what I experienced in my NDE. There is much to be gleaned from this; take a look and see what it brings up for you. I feel, as you do, that consciousness is elastic and can expand under certain conditions as well. I've experienced a few OBE's in my life so I can understand this. I wonder if the brain and/or the mind acts as a filtering system to the greater states of consciousness and only when we are able to somehow bypass these filters can we then gain access to the various levels. From my experiences consciousness has no identity. It is pure awareness. Once I experienced a state of consciousness which was observing the mind which was watching itself - it's mechanical nature if you will. Three observations at once. Very difficult to explain. I can recall it as if it happened a few minutes ago and in that crystal clear state of consciousness there was no identity. And thank you John (Precaud) for the attached copy of "DESCENT OR LIMITATION OF BEING" road map. I've made a copy which I'll refer to as I learn more. Thank you all for the time and effort you've taken to contribute to this topic. Heidi wrote: Once I experienced a state of consciousness which was observing the mind which was watching itself - it's mechanical nature if you will. Hi, Heidi, John, David and Rey. Now that you mention OBEs, Heidi, I am reminded of something I forgot to say. When I refer to the physical conditions which allow my OBEs to happen, I usually refer to a mind-awake-body-asleep state, which involves a specific reference to the mind as opposed to the brain, which I had not explicitly dwelt on to start with. To answer your question, based on my own personal experience, the brain (which is physical) acts as a reduction valve during our waking state, so that we can focus on everyday life engagements. Based on this theory, the reduction valve can expand, depending on whether we need to be highly focused on something (driving, cooking a meal, multitasking in a busy office and all sorts of other situations), or are free to daydream, meditate, take walk in the country, and so on. I understand that, when OBEs or even lucid dreaming occur, there are parts of our brain that become unusually active (in lucid dreaming, for instance, I understand researchers are working on the role of the dorsolateral prefontal cortex). Whatever the case maybe, even though there are NDE researchers suggesting that, with the equipment we have available to date, flat-liners appear to temporarily die and come back to life again, the brain is something that dies for good when the physical body dies for good. The mind, on the other hand, is a somewhat intangible notion for me, and it could well be a label we use to describe the degree of awareness we are used to in everyday life. All I can say is that when I somehow “wake up” and my body is asleep, I have access to an entirely different dimension, which may still be filtered by my own waking-time expectations, but is nonetheless completely different compared to waking life and also compared to dreaming, the main reason being that my critical/logical faculties are at work without the hindrances that the body-awake involves. So, now that I think about it, “mind-awake-body-asleep” sounds a somewhat subjective term to use. This having been said, it is my opinion that we do have to put up with filters in this physical life, as far as consciousness is involved, and even though I have not had the time and patience to study all these interesting subjects, especially in the light of cultures and traditions other than those I was raised in, NDEs seem to suggest that consciousness is a vast ocean compared to the pond we live in. Thanks once again for these thought-provoking questions. Many many creative people (eg, inventors and artists of all types such as song and story writers) have stated that their ideas come from a place that seems to be "outside of them or theirself." The idea about "filters to the mind or conscious perception" fits with what these people report about their creation experiences. - I believe that songs and ideas come from somewhere else. I still have the notion that something spiritual is happening. - It turns out great ideas come most when you aren’t trying to think of them (eg, falling asleep or waking up). - But when I think about some of my best writing, the ideas just came to me and I hurried to get them on paper before they got overlaid with my thinking about them. I can call that my “subconscious,” but that doesn’t really explain much. It’s a fancy way of saying the idea just popped up in my head and I don’t remember figuring it out. Thus, it would seem that one of the important techniques for tapping into creativity is to reduce the mind filtering that has developed for basic survival in this physical world. Also about the filter idea. I think that Pim van Lommel would agree. 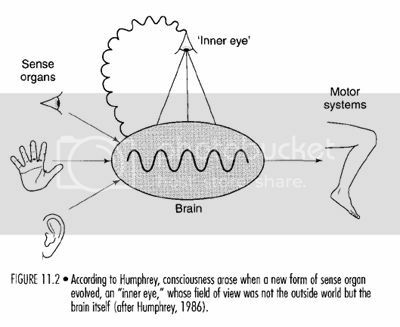 For example, look at the last paragraph of section 7 : "QUANTUM MECHANICS AND THE BRAIN" in van Lommel's well known article titled "ABOUT THE CONTINUITY OF OUR CONSCIOUSNESS." It would seem logical then that OBE, NDE along with just dreaming may be doorways or conduits to other dimensions (or at least consciousness dimensions). When you say, "...when I somehow “wake up” and my body is asleep, I have access to an entirely different dimension...", it reminded me of an article that Rey posted - "The Third Eye and the Role of DMT." "Dreaming and OBEs, the two major states of consciousness associated with psychic information, are both linked to DMT. Small amounts of DMT are released during dreaming, which which may contribute to the vividness of dreams. DMT also facilitates psychic dreams by its effect on the limbic system. Larger amounts of DMT can cause an OBE, once again by its effect on the limbic system. So DMT temporarily breaks down our brain's filter by shifting the relative activity of our cortex and limbic system, enabling our conscious awareness greater access to information in our holographic consciousness field." Great article by Pim van Lommel Rey - thanks. With regards to the last few paragraphs; I wonder if our essence isn't located in some other dimension (such as "phase-space") where we are watching ourselves experience this dimension of reality. Akin to an audience member watching an actor on the stage but is not aware of his true location because he has become so engrossed in the actor's role. "An intellectual is someone whose mind watches itself. Someone who is conscious is someone whose consciousness watches the mind and sees the difference between the two." I'm really enjoying all these comments. But when I think about some of my best writing, the ideas just came to me and I hurried to get them on paper before they got overlaid with my thinking about them. I can call that my “subconscious,” but that doesn’t really explain much. It’s a fancy way of saying the idea just popped up in my head and I don’t remember figuring it out. - Was I the “author,” or just the “collector?”. I enjoy writing, too. And, like you, my best writings have come to me. I feel like they are 'given' to me. I have often gone to sleep thinking about a topic and awoken with thoughts pouring from my mind so fast that I need to write them down right away. Then, free to return to sleep, the thoughts are there for me later, when it is time to get up. I love that. But, I too, feel the credit belongs to someone other than me. Your last sentence in that quote says it so well. My dreams are always, lucid and always have been. I thought everyone dreamed that way, until I read about them here. I asked several friends and family about their dreams and realized not everyone dreams as us lucid dreamers do. When I become frustrated within a dream I just tell myself to wake up. As for consciousness. I think it is who we really are. To me the mind and consciousness are one and the same. Very separate from the physical brain. During my nde, I knew I was dead to the physical world. Yet my mind was more alive than it had ever been. I remember, about age five, asking my mom if 'this' (meaning the physical space) was real. I think she got tired of the question, as I asked it often. I remember feeling 'this place' to be temporary and not really real. I know that sounds like it doesn't make sense, but before the age of ten or so, I never felt this place to be real. And after my nde, I know it to be temporary. It is so refreshing to listen to other comments of things such as these. Hi, Heidi and Ano1. I am also enjoying this topic. Yes, Heidi, I have been often encouraged to look into DMT (dimethyltryptamine), which Dr Rick Strassman has named the Spirit Molecule. I look forward to reading Rey's post you provided the link to. Ano1, I am excited to get to know a person who naturally lucid dreams all the time. I understand this is quite natural with children, and, as you, they think it is absolutely normal until they find out not everyone does. I read you are nurse and that you have had a NDE yourself. Could you possibly provide a link to your NDE account? I'd love to read it. I like the idea of "consciousness dimensions", Rey. It sounds fairer than my pond/ocean metaphor and I must say role-playing is an idea I often dwell on myself, Heidi. ano1 wrote: I remember, about age five, asking my mom if 'this' (meaning the physical space) was real. I think she got tired of the question, as I asked it often. I remember feeling 'this place' to be temporary and not really real. I know that sounds like it doesn't make sense, but before the age of ten or so, I never felt this place to be real. And after my nde, I know it to be temporary. Last edited by Garry on Tue Jun 07, 2016 8:15 pm, edited 1 time in total. Rey, Thanks for sharing that. It gave me a few chuckles. But, she's right. I think it is # 251, but not really sure. I wrote it so long ago. Would love to re-write it for more clarity. And, just write simply the experience... in more detail.